Simple description: I am moving (shifting as they say in Singapore/the UK) and hope to get some of my artworks in the hands of people who understand them. 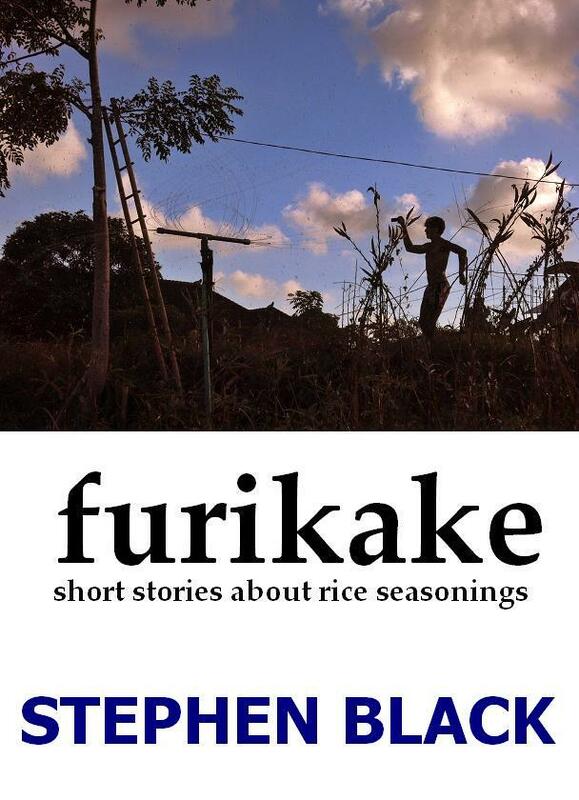 Pay what you like for the following printed books: Bali Wave Ghost, I Ate Tiong Bahru and Furikake. All of these books have received positive reviews and all are described on this blog elsewhere. 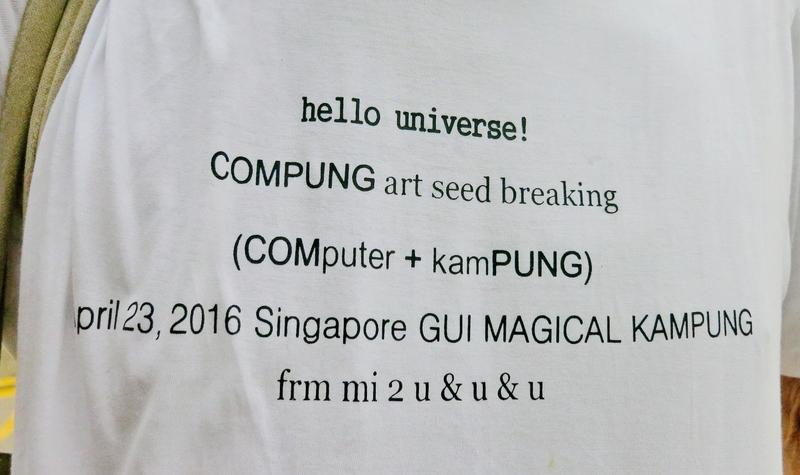 As for the T-shirts: -they are a means of disseminating information about "compung", a word I have created. I am now looking for organizations about neologisms, so as to find ways to register "compung" or get it into the mainstream. 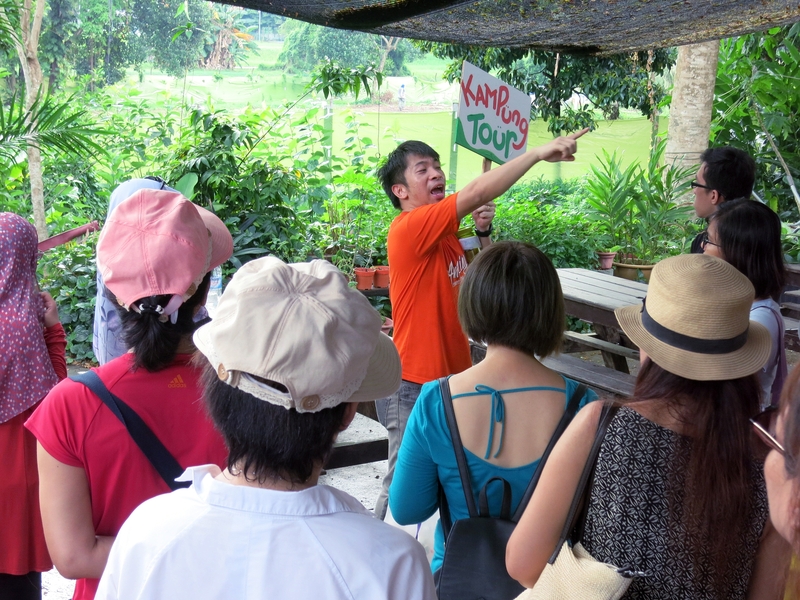 - they reference On Kawara as well as Prince's use of symbols and the substitution of letters for words -they promote the Kampung GUI. GUI stands for ground up initiative, a concept that I strongly believe in. -they feature my "unaesthetic" aesthetic. Fun, maybe challenging... SO... get in touch if you are interested. I would be happy to connect these limited edition artworks with people who "get" them... Onward! SB The books are a limited edition, joining these others. Headline: Fay Weldon interview: ‘Abandon your dignity and write a racy page-turner’ Writers should “abandon literary dignity” and write page-turning versions of their thoughtful masterpieces for the e-book audience, the acclaimed author Fay Weldon has suggested. Not my kind of headline... The 83-year-old author, who has written more than 50 works including The Life and Loves of a She Devil, told an audience at The Independent Bath Literature Festival that a different type of reader needed a different type of writer. ah... Ms. Weldon is from the write-for-your-audience school. Fine. I prefer to explore the art of writing, then see if anyone is interested in my discoveries. Also, regardless of one's intentions as a writer, marketing is key. Authors should write a literary version for publication in print form, and a racier “good-bad” version for those who use e-readers such as the Kindle. Weldon revealed she had considered expanding a recent e-book novella for print. I like the idea of two versions. Coincidentally, I have been experimenting with a novella form of my latest novel, Bali Wave Ghost.However, the amount of "raciness" in both are the same:almost none. When I am able to do so, I will execute a plan in which every copy of one of my novels is unique. “Writers have to write now for a world where readers are busy, on the move and have little time for contemplation and reflection,” she said. “The writer has to focus on writing better, cutting to the chase and doing more of the readers’ contemplative work for them.” In terms of mobile and ebooks, I agree, almost completely.However,I think the experience of reading a printed book is still rich and meaningful and allows for contemplation and reflection. But both of these points are dependent upon the reader and the reading experience. Weldon expands on the theme on her blog, quoting a survey in The Bookseller last year which showed that 90 per cent of book buyers read e-books with genre and commercial fiction comprehensively outselling literary fiction. (This seems to be the link, though it displays as being posted in 2014.) One e-reader company, Kobo, also revealed the most read books last year were romance, followed by crime and thriller novels and fantasy. In August, academics presented a study that showed Kindle users were “significantly” worse at recalling events in a mystery story than those reading in paperback. A European research network studying the effects of digital text reading said “research shows that the amount of time spent reading long-form texts is in decline, and due to digitisation, reading is becoming more intermittent and fragmented”. This information is not surprising. Now, "everything is mobile" supposedly. I am cautious of studies and surveys. As I write this, a woman is sitting outside reading a paperback. She seems to be deeply engaged with it, and has been for the past 45 minutes at least. Alice Mangen, of Stavanger University in Norway, a lead on the study, said it “might make a difference if the novel is a page-turner or light read…compared to a 500 page, more complex literary novel.” There are so many variables connected with the acts of reading and writing that this statement is difficult for me to comprehend.Writing for the sake of art and writing for the sake of sales are not mutually exclusive ideas.Ms. Mangen's statement appears to be either/or.Harry Potter: isn't it a complex literary novel that is also a page turner? Weldon wrote on her blog that the works that sell best in e-book form were fast-moving event-driven stories “with no lingering on obscure complicated ideas,” and that authors should “abandon literary dignity” and write two versions of the same novel. She added: “Writers can’t expect the same version of their book to serve both markets.” Very interesting idea.I wish there had been follow up questions: Thoughts on sales figures of both versions? What would publishers think of this and how would the different versions be marketed? The two markets: something like "fluffy entertainment" and "lit er a ture"? She continued: “What the new reader wants is surprise, suspense, entertainment and it doesn’t make you any less of a writer, just a more accomplished one. But maybe something is lost just as it is gained.” I believe "old readers" wanted those attributes as well. Her novella The Ted Dreams appeared originally as an e-book before it was published in her new collection Mischief, which provides a survey of her work over five decades. The Ted Dreams was exactly the same in both versions? “I thought for The Ted Dreams I might expand on the themes in print that I had thought might be boring,” she said. “I could still do that but I’d rather get on with what I’m doing now.” I am unclear....so, she did not practice what she is preaching? She said that she can read books by writers such as Martin Amis in book form, but “in electronic form I tire”. Eye fatigue? The weight of the ebook reader? Unpleasant feeling in general? Why? ................ I became aware of this article because of an email notification from Digital Book World. The link to the article was entitled,"Should Authors Write Differently for Digital (the Independent)" I was hoping to read about the following: KEYWORDS AS SUBJECT MATTER Imagine a new genre, one in which trending keywords are "writejacked", that is to say that the authors of (mostly) pre-written novels wait until the moment when they can integrate trending key words into their novels and immediately publish them. The MO here is part 24 hour writing competition, part SEO optimization exercise. I have written a short story that experiments with this idea. Not much to report yet, but drop me a line if you would like to learn more. FAN FICTION Would love to learn about non-vampire, non-TV show related fan fiction. 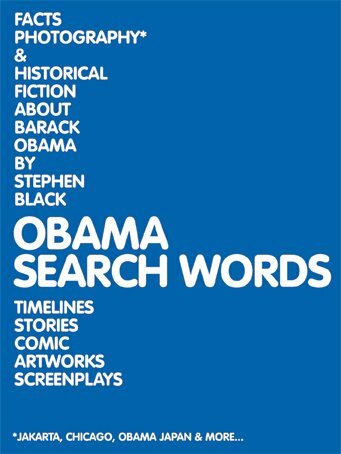 Certainly there must be some great books being produced as fan fiction which are not related to mainstream pop culture. I am also experimenting with this in my collaboration with Ezio Barbero, a novel series based on food and the history of the Majapahit Empire, including excursions into the time of Alexander the Great and WWII. 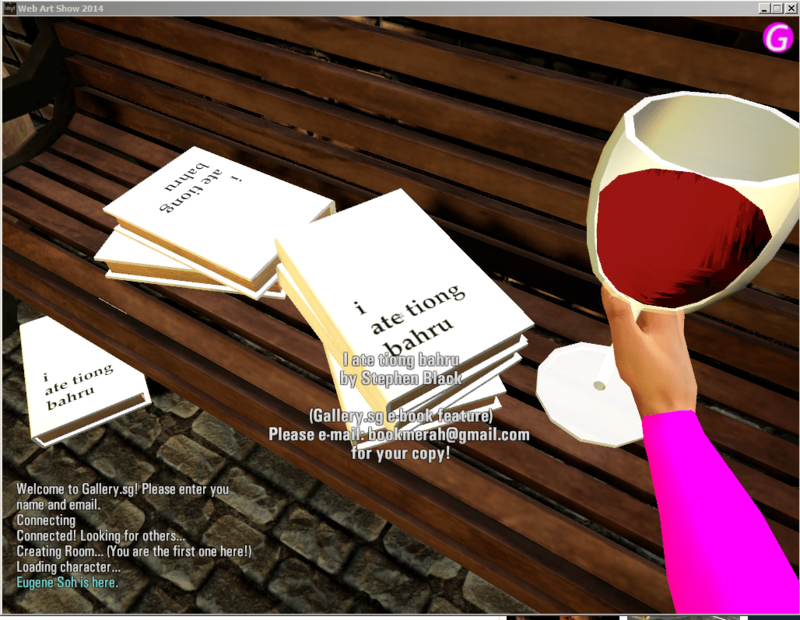 (Mulan meets The DaVinci Code with a dash of Anthony Bourdain). COLLABORATIVE WRITING PROJECTS Kindle Worlds Joe Konrath/Kindle Worlds. Michael Bunker. (Full Disclosure: Michael and I have a project in the works. )Nick Cole There are many others; collaborations have been going on since humans learned to do whatever it is that humans do. NEW WAYS TO WRITE, NEW WAYS TO CONNECT WITH READERS, NEW WAYS TO MAKE BOOKS So much is happening that it is hard to keep track of. Wattpad.Reedsy Uncovered Books, Unglue It, Kickstarter I have experimented with several of these sites. Am always looking for ways to connect with people in the most efficient manner possible.Hopefully I can keep whatever is left of my dignity. The weekend I won an Oscar, a Grammy, the Nobel Prize and a Golden Horse. I'm a transnational artist/writer. Born and raised in the United States, I have lived in Japan, Hong Kong and Paris. Since 2002, my base has been Singapore. I am writing this from Bali. In the physical world, I am somewhat friendly, but am definitely not one who joins groups. I don't really use social media. 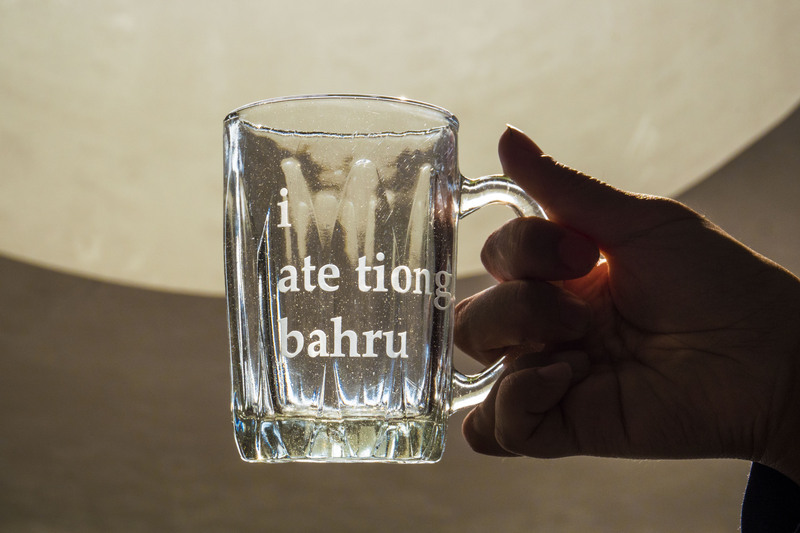 I Ate Tiong Bahru is a portrait, a lyrical documentary about a place I lived in Singapore. IATB was self-funded. 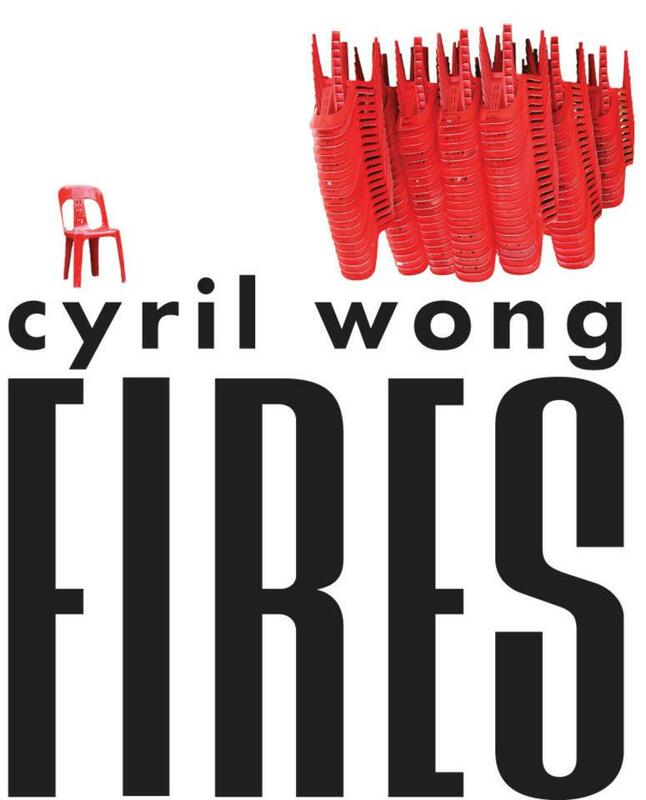 The cover is stark: just the four word title,written in black letters on a white background. The back cover is completely white. My name isn't on it, there isn't a photo of Tiong Bahru's Art Deco buildings. I didn't ask a famous person for a blurb. For the most part, The Straits Times and other Singaporean media organizations seem to be unaware of IATB. The bus stop incident is part of this. At the bus stop, I squeezed an uncooperative container of sunblock. The top shot off covering me with goo. Blobs of white sunscreen dried on my shirt and pants, most of them around my crotch. The unwanted books are part of this. A book shop (in Tiong Bahru, of all places) decided not to carry IATB. So I was carrying a bag full of my books that had been rejected.The plastic bag that the books were in was becoming frayed and holes were appearing. And it began raining. I got very wet. I have forgotten to mention that my shoes needed to be replaced. I went and I was welcomed. Not just welcomed, but treated like a celebrity! (I have never, ever wanted to be a celebrity, let me make that clear.) Attractive, intelligent women wanted to be photographed with me! Handsome, successful men looked me in the eye, shook my hand and listened to me! I was given wine and special curry puffs and a very good otah-otah! This is what I mean by "winning awards!" I am sharing this because the excitement was real. Genuine.I Ate Tiong Bahru, and the writing within it, had connected with people. Those people were interested in me not because of where I had gone to school, not because of my sexuality, not because of advertising or FB "likes", not because I'd been endorsed by the media, not because I was in the right clique, not because we were in a slick art space or trendy book store etc. etc... My clothes and shoes were wet. The rain made my hair look like a mop. I resembled a homeless person(in more ways than I care to admit), but the words in my book had been perceived as having value. IATB was referred to as an "icon"! The next day, I was at the Tiong Bahru market from 7AM to 2 PM. Then I was Booktique, from 3-7. Again, I was overwhelmed. A woman living in Tiong Bahru told me that she read the book to her son! And she wanted two more copies! I smiled and thanked her, but inside I was close to tears. Other people also came up to talk about their experiences with the book. Another thing you should know I that I do not write to please the reader. I write to challenge the reader, albeit in a caring and thoughtful way. IATB is not" feel good nostalgia". So the weekend was unforgettable. No red carpets, none of the "friends" that always appear at openings and book launches, no reviews in influential media...just that indescribable feeling that occurs when a genuine, heartful connection has been made. No chop, no boils. The surface is strange and smooth, like the skin of a giant blue beauty queen. My board’s rock steady, clean as a bone. A deep, deep breath, oxygen for the control center. Mission Apollo. Science, magic and luck. Hey, ho… let’s go! The blue becomes battleship gray. Memories are useless: this monster’s made from an earthquake and winter storm swells. Nothing like it ever. Pressure fronts from the Indian Ocean, the tides, the shape of the cracked plates far below me and the moon: all now joining forces to make this moving mountain of water. I could be consumed. The path to the barrel begins at the peak, but the peak’s fifty yards long. At least. Gut feeling. Go! Paddle like crazy. Shifting; The water’s starting to slope, forming a ramp, a cliff. Power! Paddle harder! Intercept! There! In the rush! The edge! Thirty feet ahead. Mist and wind, my ribs above the foam. The edge: twenty feet. Niagara! I thought 80, maybe 100 feet high-- this is double that. Everest! Everest meets Sandy! No horizon. Far away, dark blue water covered with teeth. Sunrise blue. Thunderclouds near the shore. Lightning. Mist becomes all. Cannot see where the drop starts. Everything focused on getting speed. I must shoot over the the top of the wave. I must. My eyes blink. Within that blink, for one millisecond, I am euphoric. Celestial. Weightless. I drop. My eyelids lift and data collection resumes but... THERE IS NO VISUAL DATA. I swivel my head. ZERO DATA! No horizon line. No sky, no ocean below. I can’t gauge my arc. White, everything is white. I'm falling through a cloud. My feet clutch the board. Arms out, hips twisting like a belly dancer on speed; bowlegged and crucified. My senses are screaming: The immensity of this is like nothing else. This is impossible.! I REMEMBER TO COUNT. One I'm dropping in front of something nine, ten times bigger than Jaws. Waimea’s waves go 20, 24 feet- a 20 second ride. I’m on ten times that. Two minute ride. No leash. Pray no boats or sandbars. Or reefs. Two Steady. Find a reference point. Something besides the roar, the white bullets, the rivers like pipes. The waterbombs. Who said surfers are just monkeys with sticks and swimwear? Four This monster’s gonna break left… or right? Steady, steady. Steaaaadddyyyy. The trance, the calm. Enter IT. The moment. Steady as a planet. Totally aware, totally relaxed. Give yourself another millisecond of euphoria. You've been falling for days. Five This morning I woke up on clean white sheets next to the most beautiful woman in the world. Now I'm surfin' a tsunami. Six This is my last ride. Seven I AM A WATERMAN! Waterman! Waterworld! Angel Falls! THIS IS FOR YOU, DUBBO ROGERS! THIS MAKES YOUR NORTH SHORE LOOK LIKE A BATHTUB! YOU BETTER BE UP THERE CHECKING THIS OUT! MAN, I WISH YOU WERE HERE! Eight Survival stance. Water bombs getting bigger. Arms out, flapping. Feet still holding the board. Aerodynamics and gut feelings. Speed. I'm on the nose of a jet in a crossfire hurricane. Zero fatigue. Contact when? Nine How to calculate when I cannot see? How to prepare for touchdown? What to aim for? Ten Reality. I’m falling in front of a twenty story train made of tons and tons of water. A speeding wave the size of a city block... My feet clutch my board. No horizon. I see myself dropping into nothing but white foam waiting to hit me. 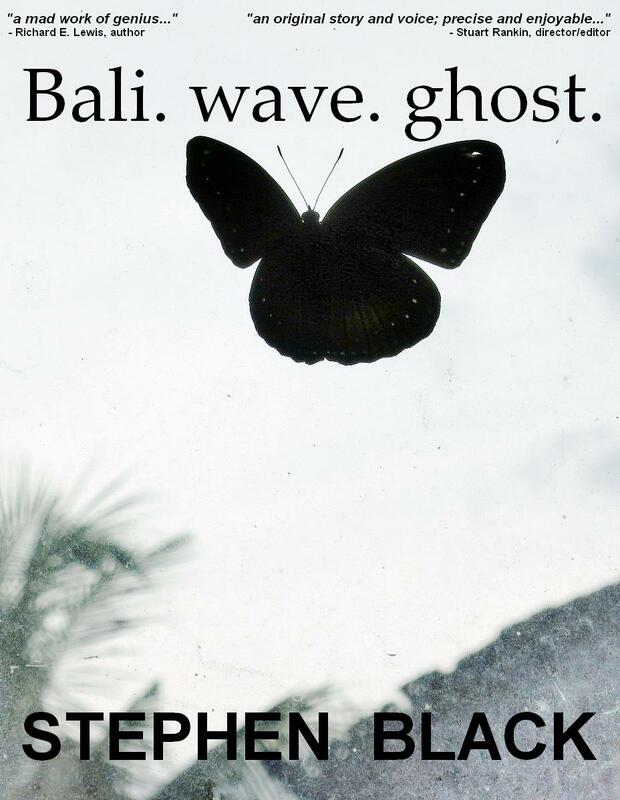 A self-interview by Stephen Black about Bali Wave Ghost is here. THIS STORY'S CONCLUSION WILL APPEAR IN BALI WAVE GHOST, A SOON TO BE PUBLISHED NOVEL BY STEPHEN BLACK. DROP AN EMAIL TO bookmerah+ at; gmail.com if you would like to preorder. More information about Bali Wave Ghost. Full of grief, Singaporean history, printing press lore and sweet memories of love, to read Contact With Shadow is to experience loss-- and redemption. The story: a Cambridge research student comes to Singapore to learn about the island's pre-Linotype printing history. His wife, an amateur chef, is killed by lightning. Overwhelmed with a sense of loss, he struggles to write his thesis. More often than not, his words are about the woman he loved. A bureaucratic "assistant" enters the picture, as does a Hollywood producer... Contact With Shadow is an experience, not just a reading experience. 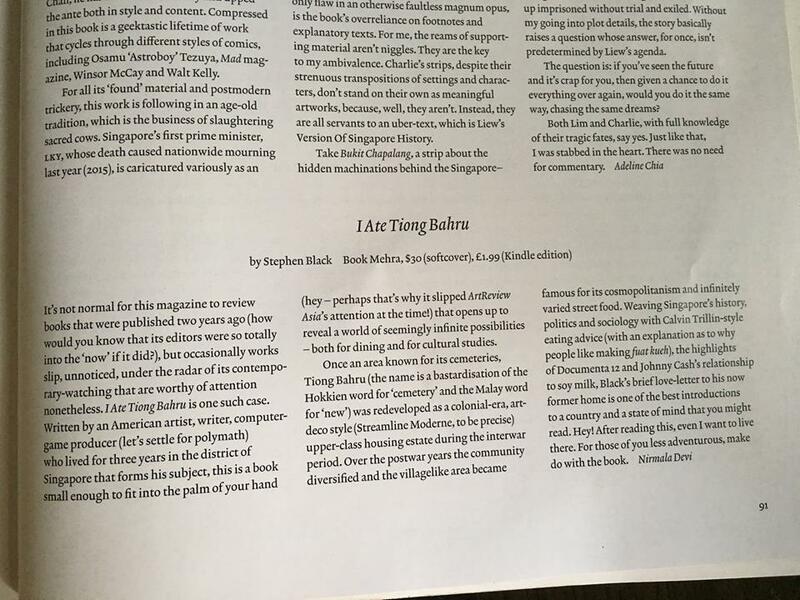 "It's a double pleasure to read this... First, there's the joy of gleaning nuggets of knowledge about Singapore and the printed word hitherto unknown; and second, there's the childlike wonder of never knowing what Stephen Black has in store for us on the next page." The cover was created by Debbie Ding and Shazanah Hassan. It grew from the ground and the grass punched her and the metal on her sandals sparked. Her jeans opened as I watched her hair change. My wife was in the air. Her mouth distorted as the muscles around her eyes bulged and creased. The brightness disappeared. Still in the air, her fingers stretched as though someone’d yanked a wire in her arm. She fell and I ran to her in the sound of the bang. I touched her lips. I feel this project is my lifework. I mourn the loss of the handwritten letter as well as all of the handcrafted printing machinery created before the Age of Linotype. Sentosa... A Malay word meaning ‘tranquil’. In the interview it is mentioned that the Sarkies brothers, who were Armenian, used the name Sentosa for their house on Bukit Timah Road. The Sarkies Brothers are most famous for having established Raffles Hotel. ‘Sentosa’ is now associated with the island resort on the west coast of Singapore. The original name of Sentosa Island was Pulau Belakang Mati, which, literally translated, means “island behind death.” During WWII, Japanese soldiers killed innocent civilians on the islands’ beaches. The name was changed to Sentosa in 1972. One of our saints, St. Mesrop, founded our alphabet, in 450. Jon refers to Grabar, the Armenian language. Examples of the Grabar alphabet can be found inside the Armenian Church. Dr. Jack knew how to communicate with the future and he was obviously using a code. About two hundred years ago he sent a message on its way to me. Additionally, the movie and related enterprises are projected to generate ten thousand employment opportunities and underscore Singapore’s commitment to becoming a global hub for the media arts. In 2005 a movie by the name of Helvetica appeared. In the title sequence the word Helvetica is created by a ‘compositor’. Although the sequence shows only a single word being printed, one does get a sense of the steps involved in composition. The movie accomplishes its task and, honestly, I am really not upset that my opinion was not asked for. Nor was I contacted about being interviewed. Plantin’s legendary studio was the Silicon Valley of 16th Europe, full of elegance and the world’s most sophisticated ink measuring and application technologies. Now, thankfully, it is a museum. We went. We held hands, her heart racing like mine. The drawings were there — Garamond’s original drawings**!The 380 drawings that Claude Garamond brought to life! The drawings are a monument, a landmark in the evolution of European printing and civilization! Garamond’s font of 1540, the masterpiece he created for King Francois! We finally left the Sri Lankans and found a bus back to Boon Lay. We laughed upon seeing the Cambridge Industrial Park on Pioneer Road. On the train she told me about a new food she was creating. Two people will sit at a table with a very large glass tray between them. The tray will hold a liquid food and in the liquid will be floating white foods. Each person will use a dark sauce to write words on the white food. The staff will then turn on hidden fans to move the white foods, as if they are sailing, or floating like icebergs. Iceword ballet is what I am calling it. We finally got home and went to sleep and now I’m waking up and she is not here. Forever. By this time Prince Drtad had matured enough to become King Drtad. King Drtad tortured Greg in a number of unspeakable and unprintable ways and then threw him into Khor Virab, that deep dungeon I mentioned earlier. Ouch! Big ouch! And talk about being in the dark! Ow! Although Christianity had been underground since it began, it was now officially outlawed. Rebel stuff. It was considered a great threat to the state and the pagan world. “Death to Christians and their Christian helpers.” That’s what King Drtad said. In Armenian. OK, technically not Armenian, but the language that pre-dated Armenian. Ultimately, revolutions are about no one in particular: they are ultimately the anonymous implementation of policies; just as certain caterpillars display a fierce false face to distract predators while the real face eats undisturbed. A postmodern hall of mirrors reflecting immense research and not much else. Normal wear and tear also resulted in broken letters. Sometimes the pieces of type were not locked in properly and they met the paper at an angle; if they didn’t break, they may have been flattened or bent. Pages were printed one at a time, which meant that a small number of letters were used repeatedly, increasing the chances of breakage. We’d just arrived. It was very late and we were jetlagged and we didn’t have much Singapore money. We made rice with olive oil and furikake and used coffee cups to drink a small bottle of 7-11 wine. Dessert was a mango, eaten by candlelight. I told her about the Tamil king who was given a magic mango, one that would make him immortal. He served it to his favorite poet. When she read, whether it was in bed, on a train or beneath a tree, the world became perfect. Sometimes she read words and made them into food. CONTACT WITH SHADOW is coming unglued! "... 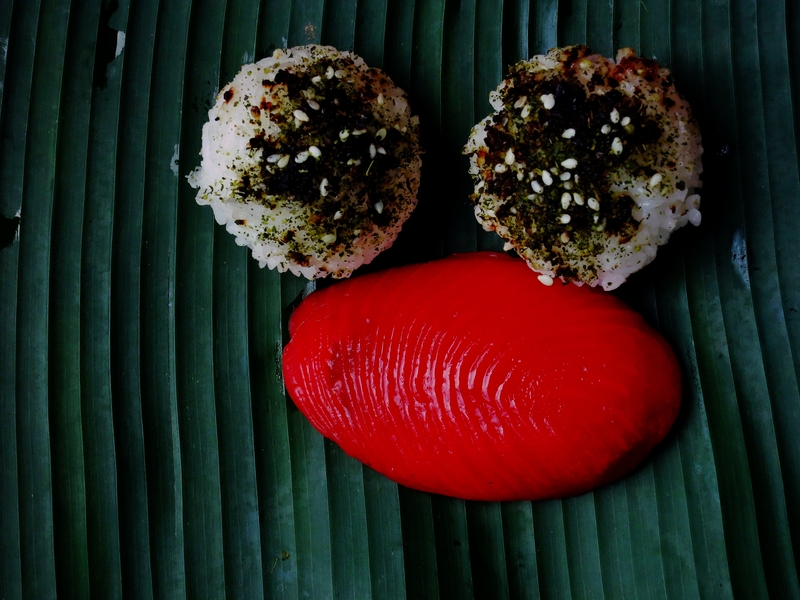 I Ate Tiong Bahru, your exquisite 'lyrical documentary' on Tiong Bahru, which gave me many hours of pure pleasure... I wish I'd read it before visiting the estate, and still in Singapore so I would be able to go there again. It's in Paris that I read it, and followed all your descriptions and encounters, street by street, on my detailed map of Singapore... I loved your book." 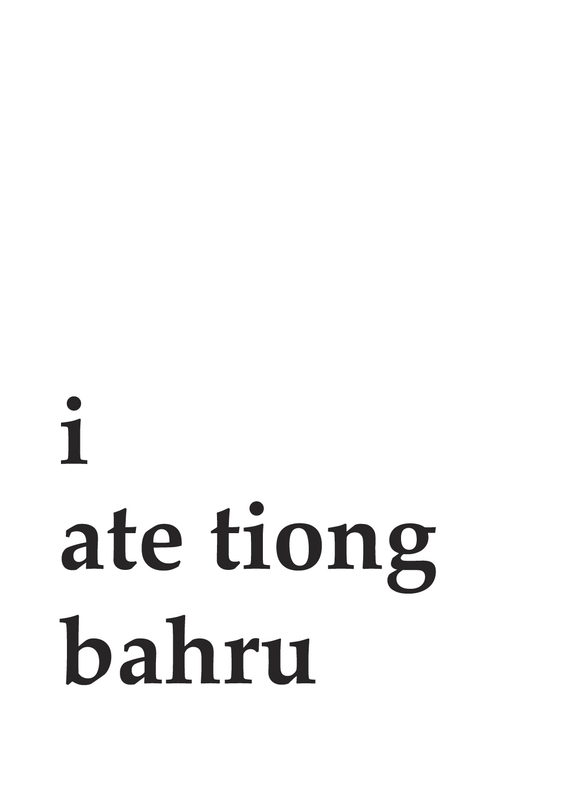 "I ate Tiong Bahru" By Mr. Stephen Black. "We can't turn back time; the past can only be reminisced. Indeed, the past can only be reminisced. Today, I met my new soulmate at Tiong Bahru. This Caucasian man had not only written the sentiments towards Tiong Bahru of its people, but also the past and memories of those departed. He didn't want to write on the perfections; he used lighthearted humour to describe those raw experiences and stories. From learning how to bake English and Nonya pastries at Galicier to observing passersby from below the escalator, it was like a courtship of sorts between him and Tiong Bahru. He had triggered our memories; not only had he given all those who hold great sentiments of this place a little consolation and joy, but also the freedom of discovery for those who are curious about this place. This Caucasian man's tenderness had humbled me greatly. 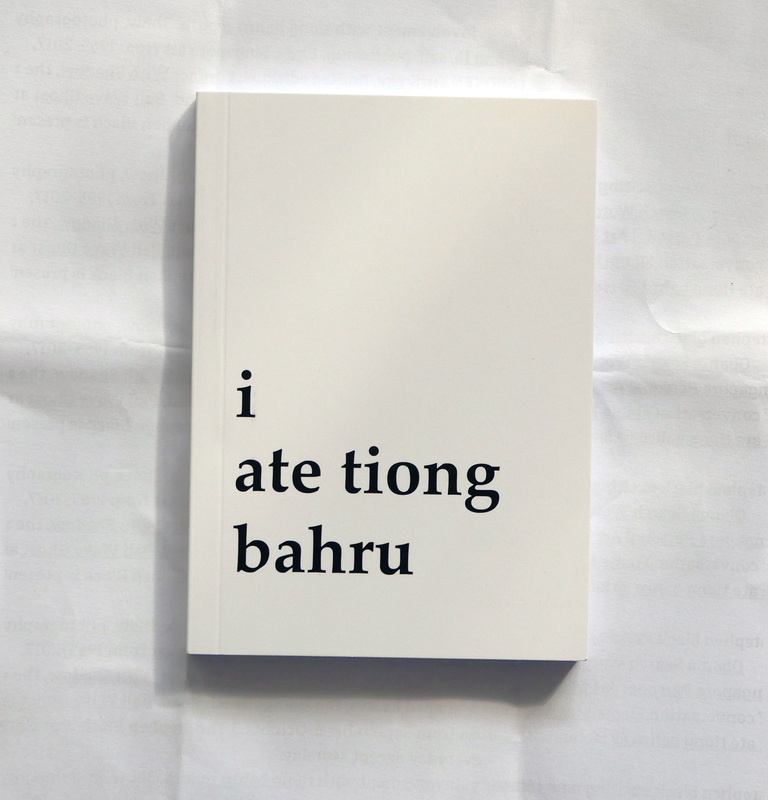 I ate Tiong Bahru by Mr. Stephen Black." To support independent ebook publishers everywhere, go here. THANKS.